Mutants in Manhattan: Kicking Shell or Boring as Hell? Unless you plan to visit the Vatican this summer, Activision is offering you the only way to engage with Raphael, Michelangelo, Donatello, and Leonardo under one roof - and you'll probably have more fun doing it this way. 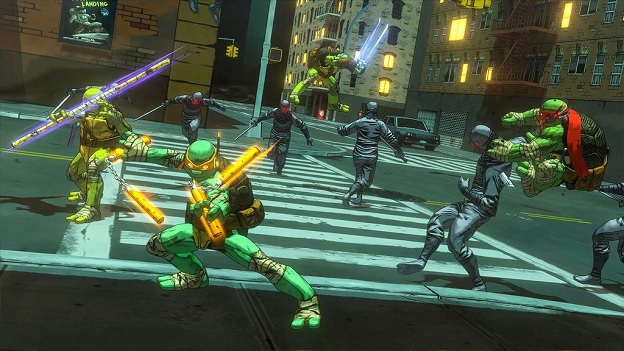 I've had sky-high expectations for Teenage Mutant Ninja Turtles: Mutants in Manhattan. 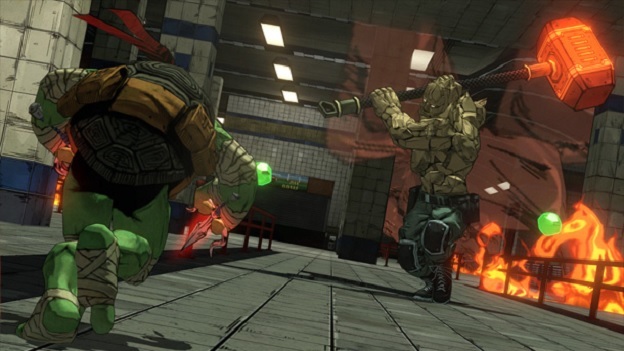 On paper, it sounds like the TMNT game we've been waiting for since Turtles in Time. 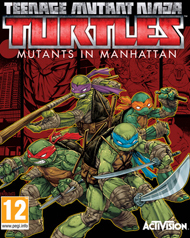 I mean, you have the title, Mutants in Manhattan, which is very similar; it's a four-player, arcade-style, cooperative beat 'em up; the two games share some of the same enemies and bosses; and during boss fights your opponents will start to blink red with increasing frequency as they near their demise. That was really all I needed to know going in, and it certainly doesn't hurt that the game was developed by Platinum, which has an amazing track record with action games. If you played Platinum Games' Transformers Devastation, you'll be right at home here. In fact, Bayonetta veterans will get on with the combat really quickly as well. Combat is a simple, two-button affair with the occasional well-timed dodge thrown in to dip behind (or parry) your attackers. Combos are extremely easy to execute, and it's likely you'll end up sticking with the same two combos with each turtle - the two longest combos - as they do the most damage and you can cancel out of them at pretty much any time by dodging. The simplicity can make combat a bit dull at times, which is why it's up to you to spice things up by making constant use of your special "Ninjutsu" attacks. Ninjutsu are your special power attacks. Each turtle can equip 4 at a time (one for each face button while holding down the left trigger), and each Ninjutsu has a unique effect and cooldown time. After your first few hours of play you'll have a fairly long list of Ninjutsu abilities to choose from, and each turtle has one specific Ninjutsu unique to him. Leo can trigger "Turtle Time," for example, which will slow down enemies for a short period, while Mikey has an extremely useful Ninjutsu called "Cheerleader" that resets his brothers' Ninjutsu cooldowns. Once you develop an overall system of offense that works for you, you'll find yourself switching between each turtle, using several Ninjutsu in sequence to wreak havoc on your enemies. Mutants in Manhattan is at its best, and at its most challenging, when playing online with others. You're given very specific options when creating or searching for a room to join, and once you select a stage and get going you'll notice that things play out a little differently than before. The mini objectives that you complete throughout a stage are switched up, and even boss battles play out a little differently. For example, during my online battle against the game's first boss Bebop, halfway through the fight another boss crashed through the wall and joined the fray. This did not happen during my single-player run. It really kicked things into overdrive, and none of us were expecting that added challenge. It was so much fun. We were all scrambling to keep each other alive and trigger combos at the same time to dish out max damage. When you're not fighting, things can drag a bit. All of the turtles are mobile enough, and there are many ways to get from point A to point B. You can double jump, glide, grind on rails, scurry up and across walls, and swing from polls, but when running the turtles feel pretty slow. You'll be revisiting stages quite a bit to explore, as each level holds many secrets, upgrades, and collectibles. These range from items to use in battle, to charms that can be equipped to add buffs or perks, to collectible, old-school comic book covers to view and enjoy. Having all of the extra goodies is nice for collectors and long-time TMNT fans, but actually taking the time to hunt them all down turns into a chore.